A great shot of Andy Wu’s beautiful LSB M Coupe on the way back home from Dorkfest shot by Garage Welt. I had the pleasure of seeing Andy’s Coupe at Dorkfest, and it looks fantastic. Still can’t believe the crazy bargain he got on it! Perfection. 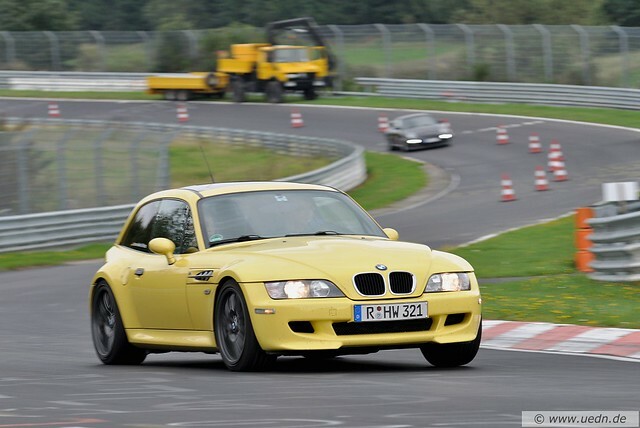 That adequately sums up my opinion of this M Coupe recently acquired by Eric Keller, co-owner of Enthusiast Auto Group. 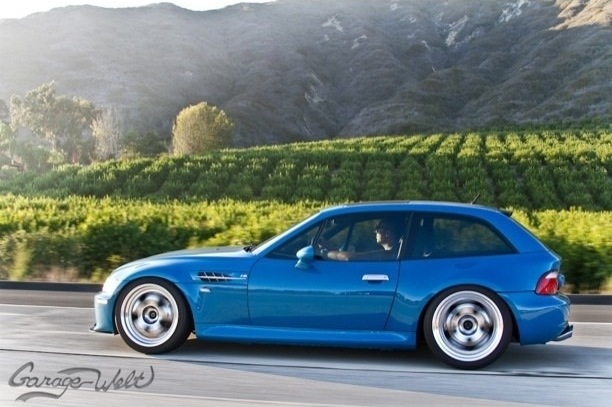 I don’t think he could have possibly purchased a more ideal M Coupe. 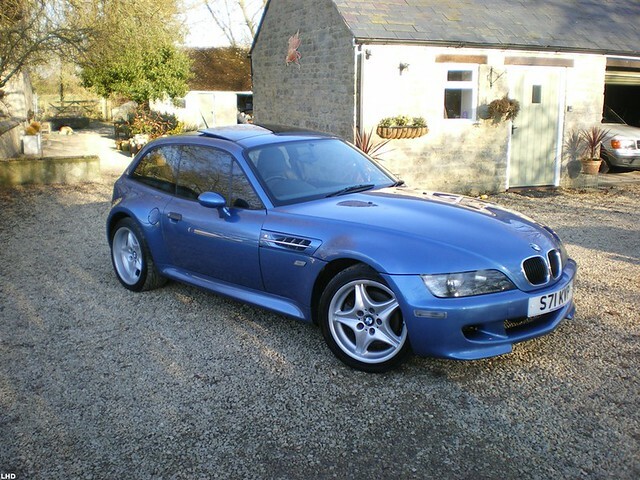 2002 – last year of production, Laguna Seca Blue – my personal favorite M Coupe color (only 41 sold in NA), Gray/Black interior – my personal favorite M Coupe interior, sunroof delete – just adds to the rareness, and to top it all off it only has 3,200 miles. This is one of the ultra low mileage BMWs a collector consigned via BMW Portland earlier this year. It was listed -and sold- for ~$45k – a bargain if you ask me. EAG sold a 1 of 7 2002 Black Sapphire over Imola Red M Coupe with 2,560 miles for $55,990 on May 2, 2013, and a 1 of 3 2002 Estoril Blue over Black M Coupe with 2,750 miles for $59,990 on May 16, 2013 – both with sunroofs. This LSB M Coupe is 1 of 2, and a sunroof delete, no less. I wouldn’t be surprised to see this listed a few years down the road for $75k… Only time will tell. This M Coupe was posted on flickr.com by nakhon100. This Coupe appears to be prepped for the track, with a number of mods suited for that type of use. Mods include: BMW OE Aero front bumper and side skirts, louvers cut into the stock hood, hood pins, black painted horizontal M Grille trim, blacked out roof, Hypersilver Roadstars with gunmetal painted centers wrapped with what looks like track rubber, racing seats, and aftermarket suspension. I’m not completely certain about the color, or engine of this Coupe. 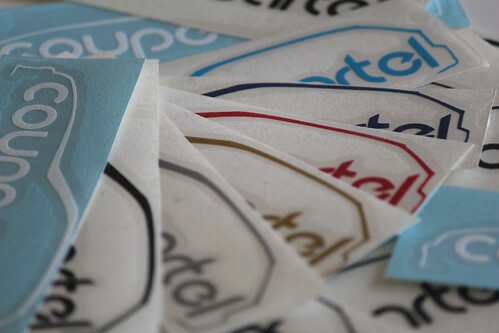 It looks like Steel Gray, but in some aspects, it looks a bit lighter than SG. It could just be the lighting, though. A sliver of the dash center can be seen, which looks Gray to me, making the interior Gray/Black. 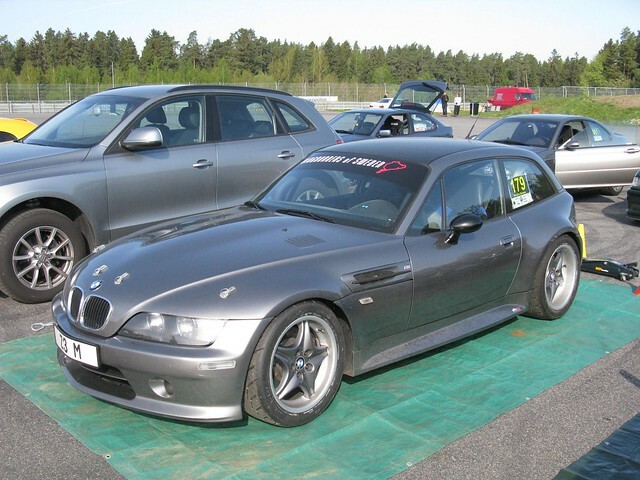 IF this is a Steel Gray M Coupe, it should have an S54 under the hood, but there is certainly a possibility that it is an S50 and the Coupe has beenÂ repainted, or it is a BMW Individual. On a side note, I didn’t realize how tall and deep the Aero side skirts are, nor how “angular” they are. 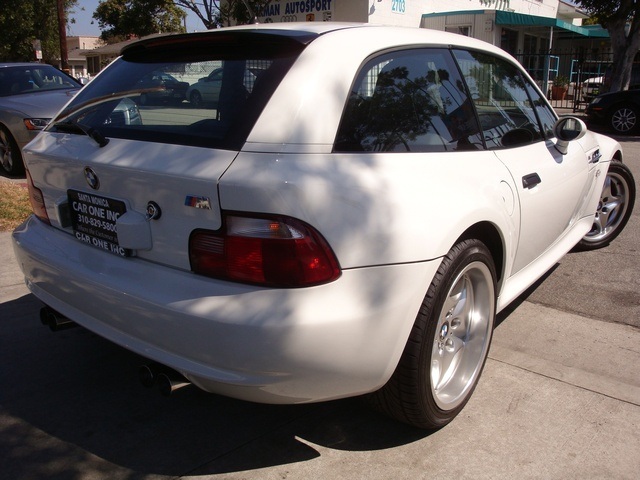 This M Coupe was listed for sale by Car One in Santa Monica, CA for $19,995 with 106,094 miles. This was actually listed back in December, but I just stumbled across it on Craigslist now. Based upon the Carfax, it’s always been a California car, and has been dealer maintained. It was sold at auction 6/24/11 with 106,093 miles, so based upon the currently listed miles (106,100 in the photo below), it hasn’t really been driven since it was sold at auction. I imagine the price is a bit of a turn of to potential buyers. It’s not all that high for the rareness of the Coupe (1 of 9 Alpine White over Gray/Black), but for with 100k miles, it likely turns off buyers. 100k+ really isn’t much of an issue for any of the Z3/M engines (my S54 has nearly 115k and is going strong, and my previous M52 had 122k with no issues when I sold it), but there is a bit of a psychological barrier for a 12 year old car and that mileage. I’ve mentioned it many times, but white is such a great color on Coupes, and quite rare with only 103 (3.6%) AW M Coupes sold quite uncommon.Â The Dark Gray leather is also very nice, and from the photos looks like it is in excellent shape for the mileage. It appears to be all stock.